As the cold months of December steps in, we often line our stomach with something hot. I often crave for a bowl of steamy ramen noodle whenever I'm swept by the chilly winds. Ramen like rice, is another staple in our diets. Now, there is ramen store inside Westgate that I discovered during a zomato foodie meetup. Butamaru Ramen is house in a two-level establishment tucked behind Zong. 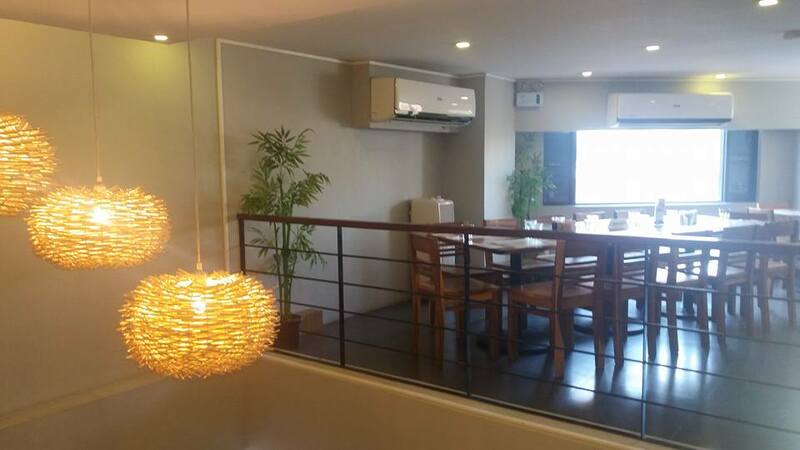 Its kitchen and ramen bar can be found on the first floor. 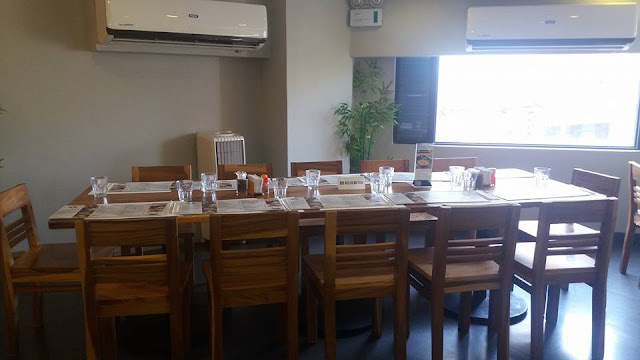 Solitary diners may opt to eat, slurp and run on the ramen bar while a full dining area located on the second floor awaits those in company. 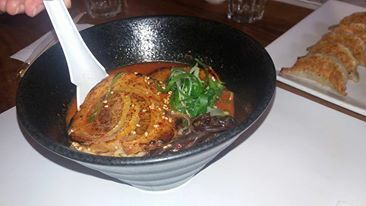 Butamaru Ramen opened in September 2014 under the expertise of Chef Jerome Lim, who had extensive training experience from Sugimura-san of Menko noodle company in Oita, Japan. For starters, we had Fried and Steamed Gyoza. I tried both. Parcels of juicy pork meat fillings were enclosed in a dumpling wrapper and wer pan-fried to crispy golden brown (yaki-gyoza). The other Japanese dumplings were lightly steamed. I found yaki-gyoza a bit dry so the ponzu dipping sauce makes it a lot better. 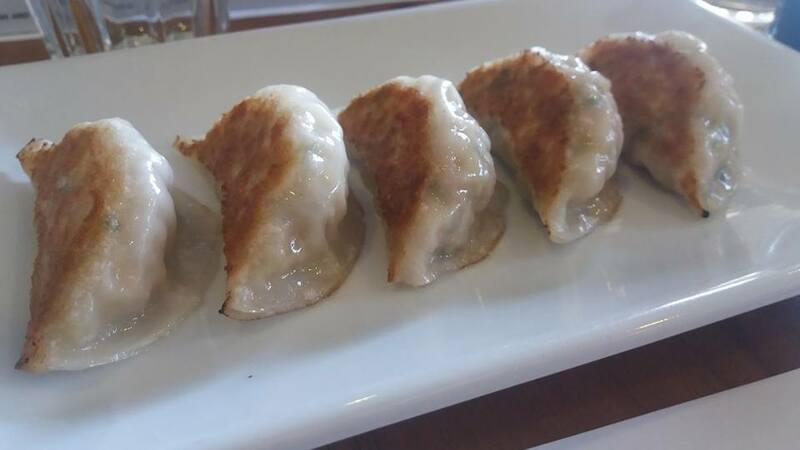 Steamed gyoza was just the way I liked it--flavorful and juicy. The Tempura-style fried chicken came in next, served with Ponzu. 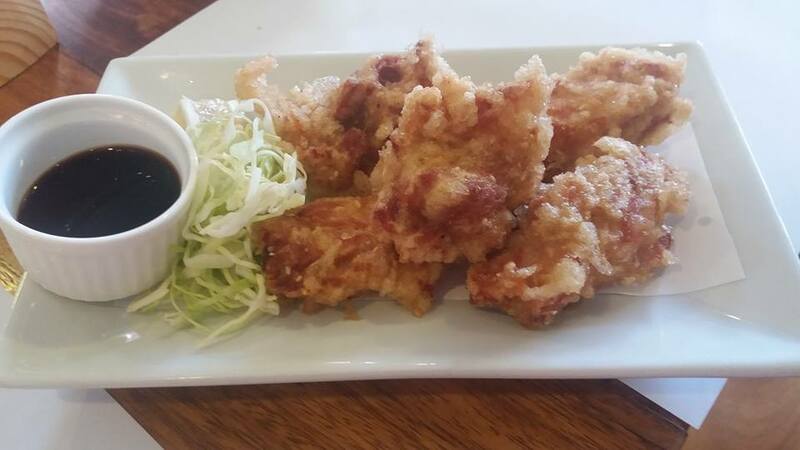 This is Butamaru's take on chicken karaage and I love it! It was super-crispy and had a very thin fried Tempura crust. For the main dish, Butamaru Ramen offers delicious bowls of ramen goodness using a 16-hour tonkotsu broth. 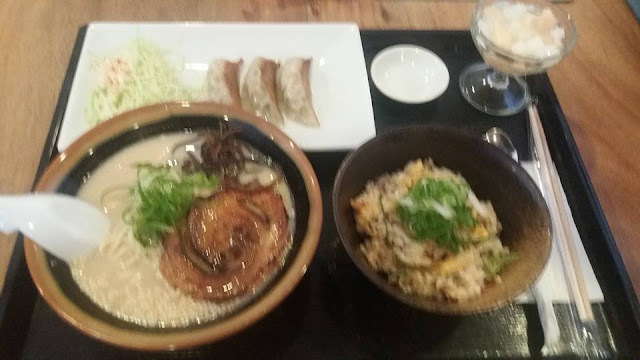 They have 5 kinds of ramen (shio, shoyu, miso, tantanmen, curry tantanmen) plus side dishes to complement your ramen bowl. The Spicy Miso Butter ramen had firm noodles. The flavorful broth is halfway or medium in thickness, and this makes it possible for anyone to slurp it out way. You can customize and request for a richer broth or more spice to suite your taste. They serve it with two hefty slices of chashu, which melts in the mouth. I'd say Curry TanTanMen is my favorite bowl over Spicy Miso Butter. 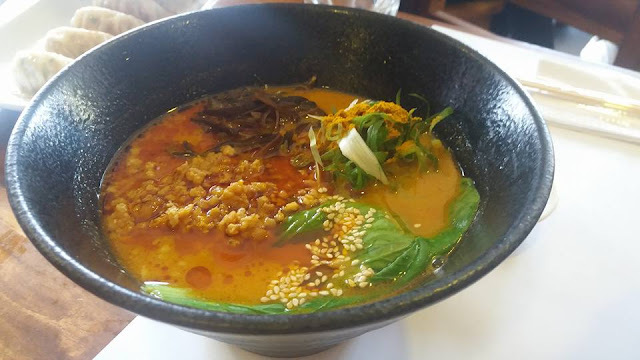 The Butamaru broth with minced pork was made even richer with flavors of the curry powder. I found it to be really addicting. I'm not really fond of spicy food but I can tolerate the heat in these Butamaru ramen noodles with a glass of cold tea. Get your fill of these hot dishes and see why it is worth the trip!